Our 6-day research-based Biology itinerary aims to take students from the classroom, out into the field. Start the trip with a day exploring Hanoi’s ancient charm, before venturing into the heart of the jungle. This tour provides students with the opportunity to analyze, categorise and evaluate insects from a jungle trek, and algae from the famous Halong Bay, and much more. Pay a visit to Cuc Phuong National Park and consider the relationship between insect life and primate life at the Endangered Primate Rescue Centre. *Prices based on groups of 20-24 students with 2 free teacher spots. Arrive and transfer to your accommodation. Once you are settled, it’s time to explore Vietnam’s capital city, Hanoi. Take a short orientation tour of Hanoi by taking a cycle ride through the Old Quarter called 36 Ancient Streets. Get a good night’s sleep ready for an action-packed day tomorrow! Wake up bright and early ready to transfer to Cuc Phuong National Park. Upon arrival, prepare to begin your first research activity. Today, you’ll install beating sheets under different types of trees, a method used to collect insects. Later, pay a visit to the Endangered Primate Rescue Center and discuss how insect life and primate life is related. Get ready for a day full of adventure as you venture into the heart of the jungle. Today you will explore the park, embarking on a 7km soft loop trek to a one-thousand-year-old sequoia tree. As you trek, observe the way the jungle comes alive! In the afternoon you will collect the insects from your beating sheets. Analyse, categorise and evaluate your findings and keep a record of your fieldwork results. 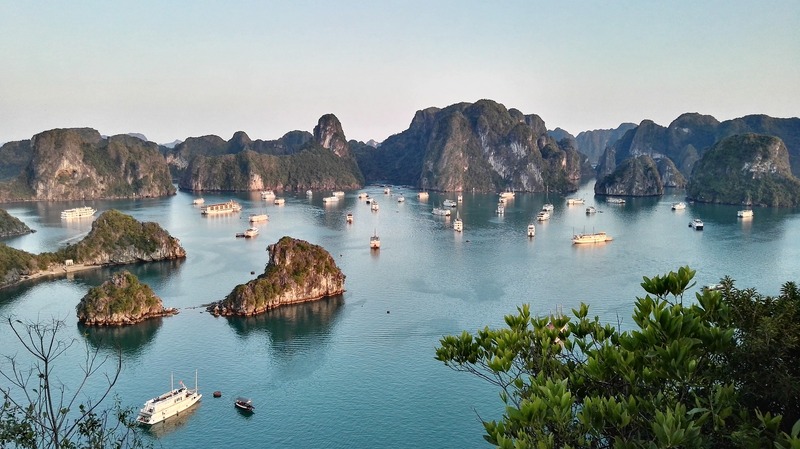 This morning, you will transfer to Halong Bay, a recognized UNESCO World Heritage Site. Upon arrival, climb aboard your private junk boat and enjoy a delicious seafood lunch. Swap your boat out for kayaks and explore the surrounding areas. Today’s research project includes collecting algae from different surfaces (boat, cave, beach etc.). Take algae samples, analyse, categorise and evaluate your findings. Discuss how your results signal ill or robust health of the overall marine environment. Hop in a small traditional sampan and make your way to Luon Cave. During your journey, you will pass through the area where scenes from the famous film ‘Indochina’ were filmed, including islets such as Teapot islet, Marker islet, Fire islet and Dove islet. Enjoy a relaxing lunch while leisurely cruising towards the wharf. 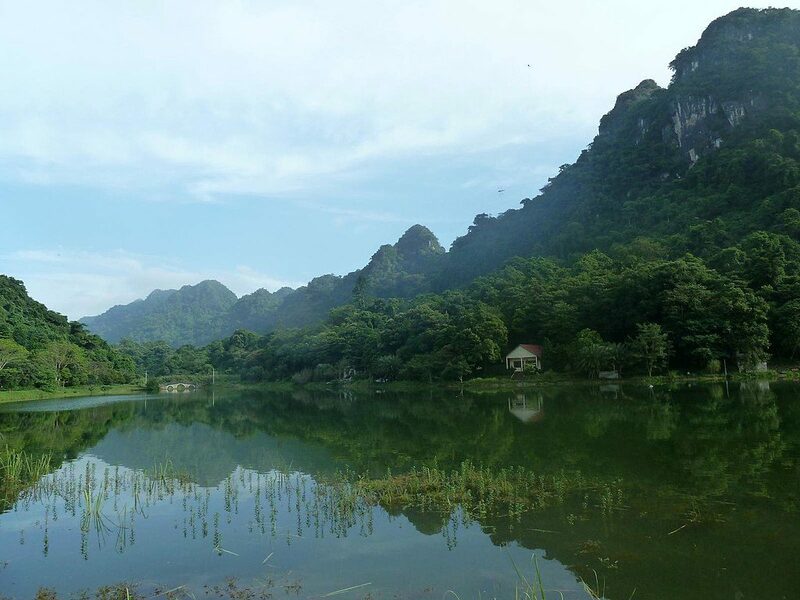 Once you’re back on dry land, take a transfer to Ninh Binh. Start your day with a visit to the Uncle Ho’s resting place, the Presidential Palace and the One Pillar Pagoda – all must-see landmarks. Next, soak up the culture and history at the famous Temple of Literature, the first university of Vietnam dating back in the 17th century. Continue your tour with a visit to the Ethnology Museum and enjoy a short Water Puppet Show (if time permits) before having lunch. Afterwards, you will get transferred to the airport for your flight home. Fieldwork; experience scientific concepts learned in the classroom out in the field. A researcher versed in our subject of study will be accompanying the group. Analyzing the effects of Tourism on Environmental Diversity; we will be testing insect and algae biodiversity in remote and popular zones to see the effects on human activity on the environment.